Hey dude. You only get to ride on the back of your girlfriend’s bike and she only lets you play tambourine in her metal band. Time to rethink your life. Unless it’s a simple case of perspective issues (and we all know how likely that possibility is), methinks I spy a tricycle in back there. All of the danger and inconvenience of a real motorcycle, and none of the coolness. Sad. I think the whole thing looked way cooler on the inside cover of the artist’s high school physics textbook. It’s time to meet the mullets on the mullet show tonight. I know there’s name for that type of hairstyle, but I just can’t think of it. I’m sitting here mulling it over with a glass of mulled wine surrounded by a pile of mullock and blinded by the light streaming through the mullions made of mullite on my windows while I watch my herd of muleys in the back yard, knowing I have to water my mullein plants and trying to decide between mulligatawny and mulligan stew for lunch, while my brain mulishly stays stuck. What is the name of that hairstyle anyway? @B. Chiclitz: We should be able to come up with at least one of its names. It has a multitude. Also, the dude forced to ride behind his girlfriend looks down in the mulligrubs. 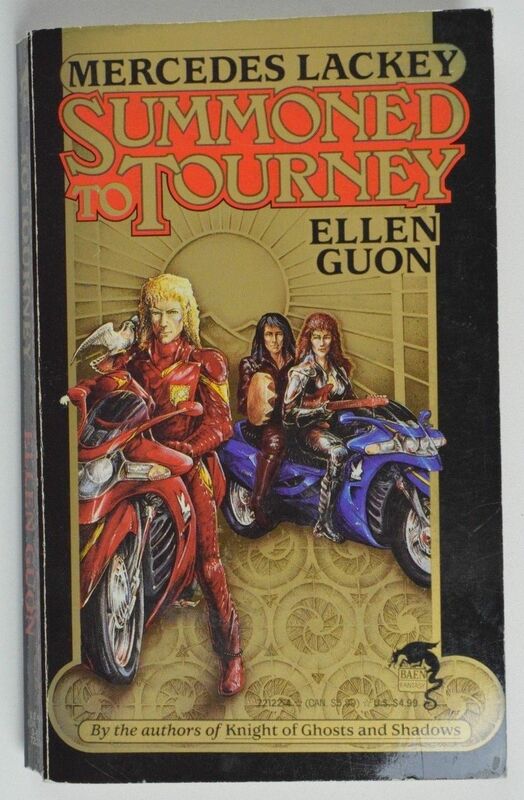 Are these Jareth’s long-lost, biker relatives? You saved me from having to consult with my local mullah before I got mullered on my mulled wine. @BC – Isn’t that hairstyle called the Robert Mueller? (zooms in for close look) I just knew there had to be pointed ears lurking fearfully under that yellow frizzy perm. Finally, a literary sequel to George A. Romero’s greatest film! Well, there *was* that table tennis tournament where I was enlisted to fill out a doubles team to ensure at least one match for the pairs…. Aw, we all knew the publisher at first glance, didn’t we? Without any text. It’s overall a great example of: WUT? @Francis: exactly. Rad metal hairband. @THX: I thought of that movie too, but wouldn’t insult it by comparison to this book. The permed mullet was, I think, starting to go out of style (was it ever in style?) by the time this book was printed. It was no longer so rad. @Tat Wood, @B. Chiclitz – mulltastic. Man, the artist really didn’t try very hard with the faces of the two in back, did they? I’d think it would be a little hard to ride a bike with one hand occupied with a guitar, but perhaps that’s where the Elfin Magic comes in. Bravo and GSS to one and all on the multiple mull… references! Or in light of the whole Tourney theme maybe that should be Huzzah! Also, I’m pleased that the artist accurately represents how squared off that blond hairdo in the front would look after being stuck under that square helmet. The other two should look more wind blown but maybe they haven’t ridden anywhere yet.